When ITMI’s Lazarus Yezinai saw a half-naked 13-year-old boy wearing only a shirt, he didn’t think twice. He quickly gave the boy SP$2000 (~USD$10.38) of the SP$2500 South Sudanese Pounds he had for food and transport for the week to buy some used pants. The fact that the sight of this boy wasn’t a social spectacle or moment of shock and awe illustrates the extreme poverty and oppression the people of South Sudan are facing. Thousands upon thousands of women, men and children have been subjected to heinous sexual crimes. Children have been forced to watch their mothers and other family members terrorized. This trauma is creating a mental health crisis. UNICEF estimates 900,000 children are in need of psychological rehabilitation. 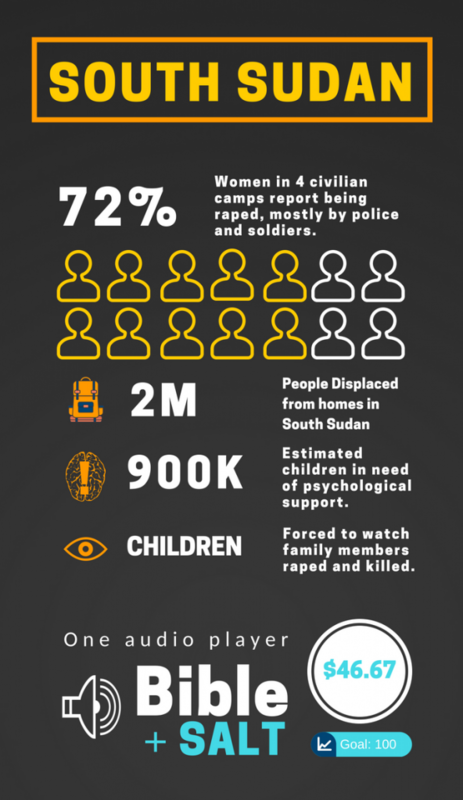 A 2015 survey found that 72% of women living in four civilian camps in Juba have reported being raped since the conflict broke out. Imagine the humiliation the young man must have experienced, not to mention the exposure. Not many would leave home without pants. 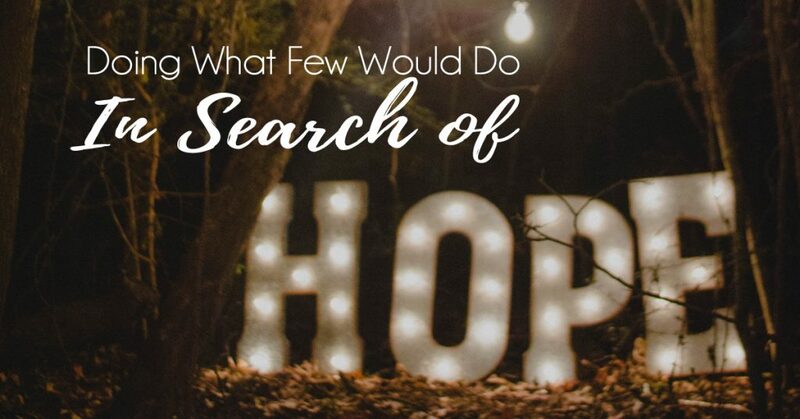 Desperation drove him to seek hope. So, despite the exposure, he arrived at the conference in Bor where ITMI’s Lazarus and Vicky Waraka and their co-worker, Esther, were teaching. Men rarely attend conferences, so it was originally offered as a women’s conference. But the hopeless circumstances they faced after returning to their home in Bor, South Sudan drove local men to cast aside cultural norms and come anyway. Many South Sudanese are returning to Bor after a mass exodus to Khartoum when tribal warfare broke out. They are returning to a hopeless mess, an inflated market, nothing to eat, no jobs and precious few places to turn for help. Yet they long for their home, some normalcy and a taste of personal freedom. Two hundred men and women sought the help our partners offered through their teaching. Five hundred children, ages 5-12 found their way in, too. 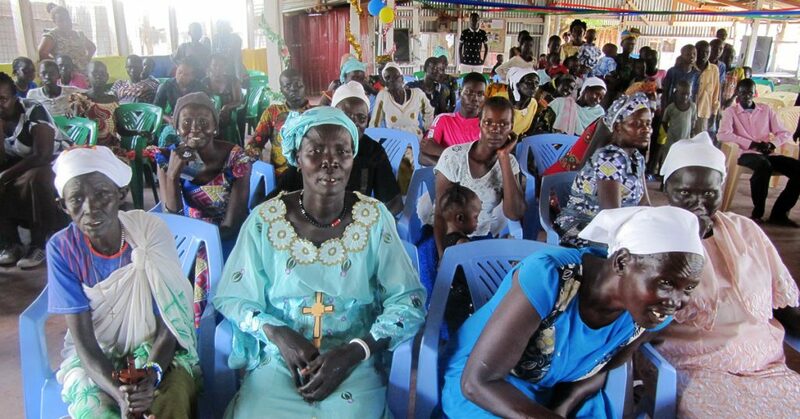 Some of the returning refugees at the conference in Bor. The two-day conference presented two hundred adults and five hundred children with something very different from the man-invented formulas for health and wealth that are currently running unchecked in South Sudan. Instead, our partners delivered hope and healing in understanding who the Bible says they are in Christ. The trio from Juba used the SALT material to share from God’s Word about sin, forgiveness and following Jesus with clarity. 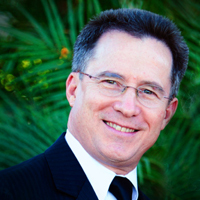 Many gave their lives to Christ, and 3 shared they felt called to ministry. Although the people of Bor face great physical needs, their main request was for the trio to return and give them more teaching from God’s Word. 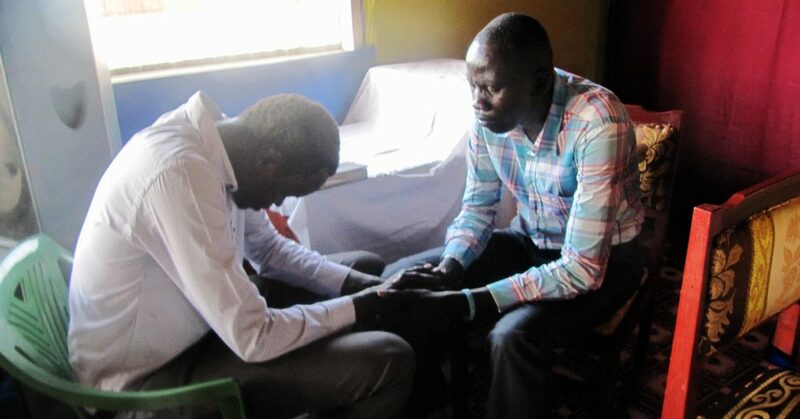 ITMI's Lazarus Yezinai prays with a man after the conference. Lazarus, Vicky and Esther are ready to return to Bor as soon as the funds become available. We’d like to send them back with 100 audio Bibles in Arabic and Dinka, with space to record additional SALT material teachings in their language. We can purchase one for $46.67. Our hope and prayer is that together, we can provide 100 audio Bibles for this stricken community. Imagine you couldn’t read. At all. No Bible study, no daily hope from God’s promises, no favorite verses and no understanding of God’s love for you, period. You wouldn’t be able to agree with truth being preached or reject information when truth was being compromised. Visualize the radiating impact this audio Bible could have on this stricken community that desperately needs to put an end to these perpetuating cycles of violence. Reviewing the audio Bibles and SALT material over time would deepen their understanding and prevent the hope they gained from being lost over time as hardships increase and cultural influences push for faith in animistic witchcraft. It also allows the material to be shared over and over again, spreading hope in the One who laid down His life to give it.